Affiliate link defined, alternate link provided. I received my second Degustabox at the end of May, the theme was "Picnic Box". You can see my review of my first box here. So, this time, I did the same - I rallied the troops to taste (almost) everything with me. I tucked in with the lads (12, 3 and 3). We haven't used this yet, but I was delighted to receive it - mainly because I adore the packaging. Why doesn't all flour come like this? It's so sturdy and easy to store, no danger of ripping a bag. Really clever. Me: Loved these. They're triangular, so much easier to roll than a normal wrap. 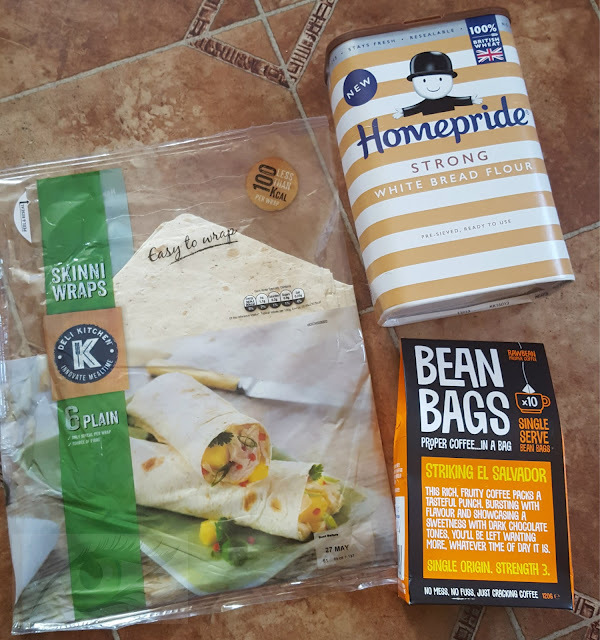 They're 91kcal per wrap, and they tasted less doughy than other brands. 12yo: *deadpan* "it's a wrap"
3yo #1: "Can we make a wrap pizza?" 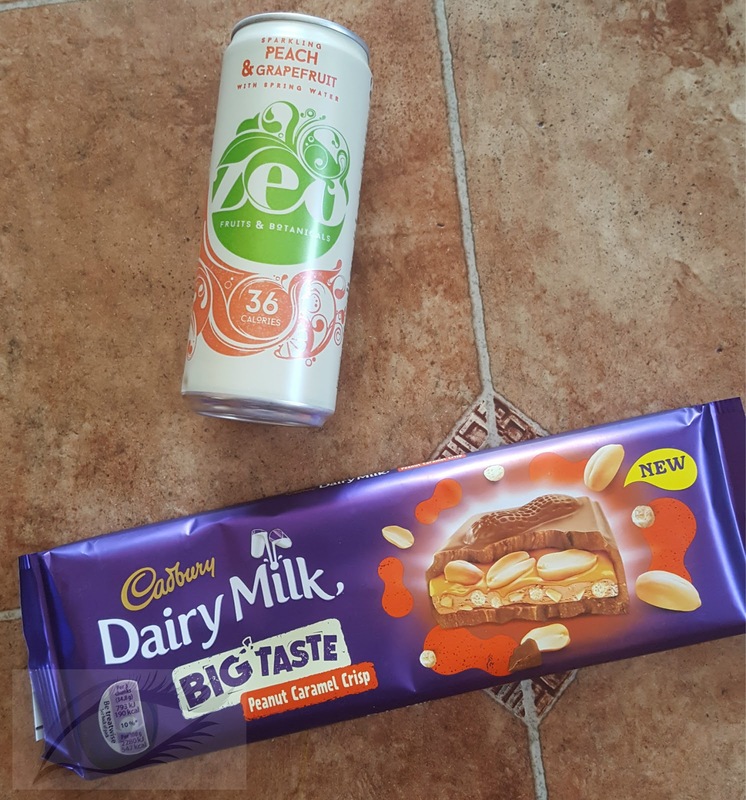 I was the only one who tried these - and unfortunately I didn't like them. I found the coffee incredibly weak no matter how I brewed it (I even set a timer in case I was waiting too long) - they're the first pyramid coffee bag on the market, but I didn't think they were any good. 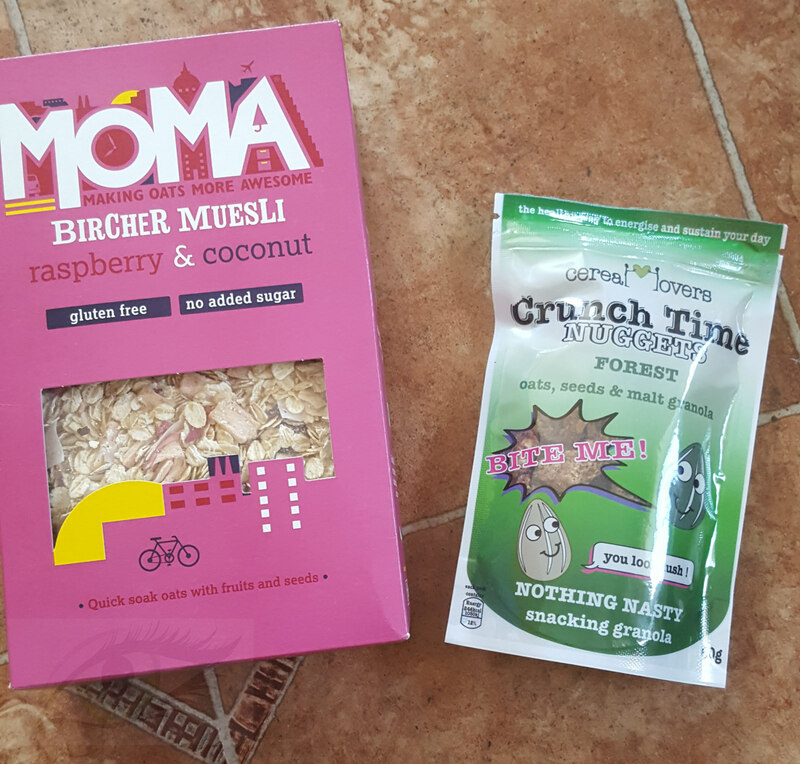 Me: I liked this, I made it according to the box and it was really tasty, very similar to overnight oats. 3yo #1: "I don't like it. Can I have the berries out of it?" 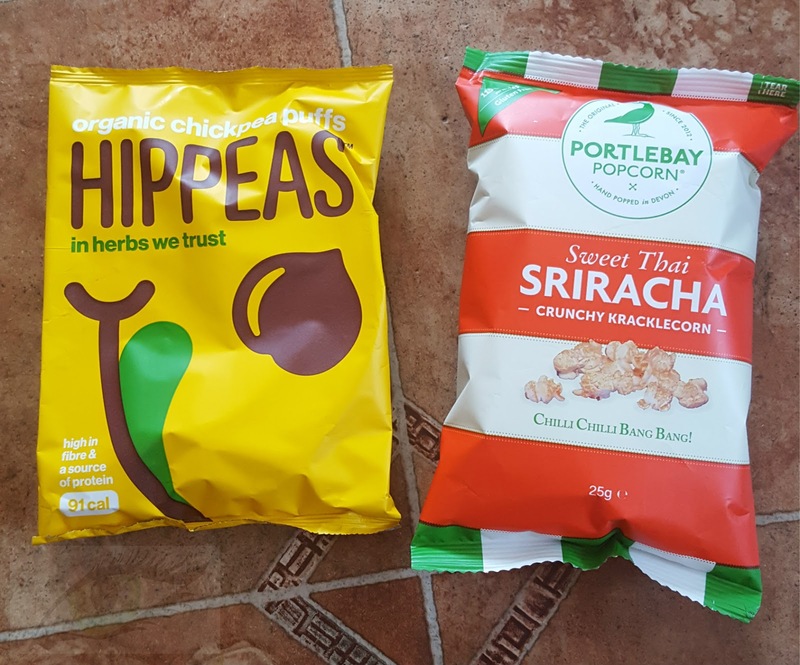 Me: I wasn't overly keen on the aftertaste, I thought it was quite sharp but they'd make a great filling snack for travelling. 3yo #1: "I don't like them"
3yo #2: Sneaked back down to the room when I put this box away and ate the entire packet. Me: They taste like chicken and stuffing. Nice texture. 12yo: "Why do they taste like Christmas dinner?" 3yo #2: "Can I have the bag?" Me: Thought they were nice at first taste, but the aftertaste was really too spicy for me. 12yo: "These are lovely, can I have the bag when I'm watching a movie?" 3yo #1: "Oh no, Oh no. These are wery, wery spicy"
3yo #2: "Why is he taking the bag? Can I have more? I like spicy!" Me: These were lovely. Nice flavour, great texture - almost like Percy Pigs. 12yo: "I really like these, I'd like to try the other flavours"
3yo #1: "This is yummy, can I have another one?" 3yo #2: "Can I have more?" 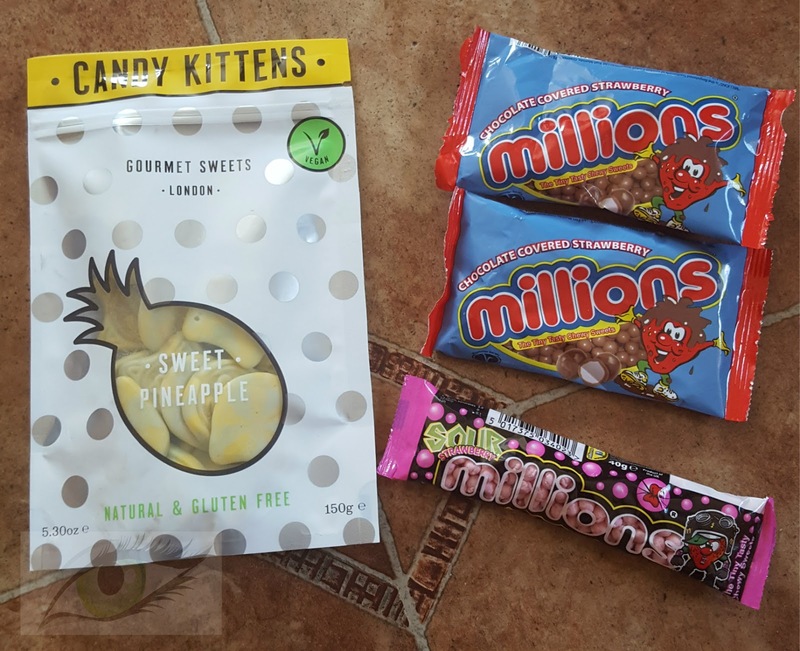 Me: They were very very sweet, quite hard inside, so for me the chocolate was an odd mix. 12yo: "Can I take one of these full bags?" 3yo #1: "They're nice, I might eat them, they're very tiny"
3yo #2: "Can I have a whole bag?" 12yo: "I really like these"
3yo #1: "No, No Mam. Too sour. No. Yuck." I nabbed this and had it with a gin and ice - it was gorgeous, there was just enough grapefruit and it was so tasty. I'd definitely buy it again. Me: Oh my GOD. Way nicer than Reese's. Can we get this in Ireland? I put this in the fridge and we kept going back to it until it was all gone. 12yo: "This is so nice, far nicer than Reese's"
That's it - I thought it was a pretty good box, if a little heavy on the sugar. The picnic theme was well executed, and I'm looking forward to making bread with the flour. 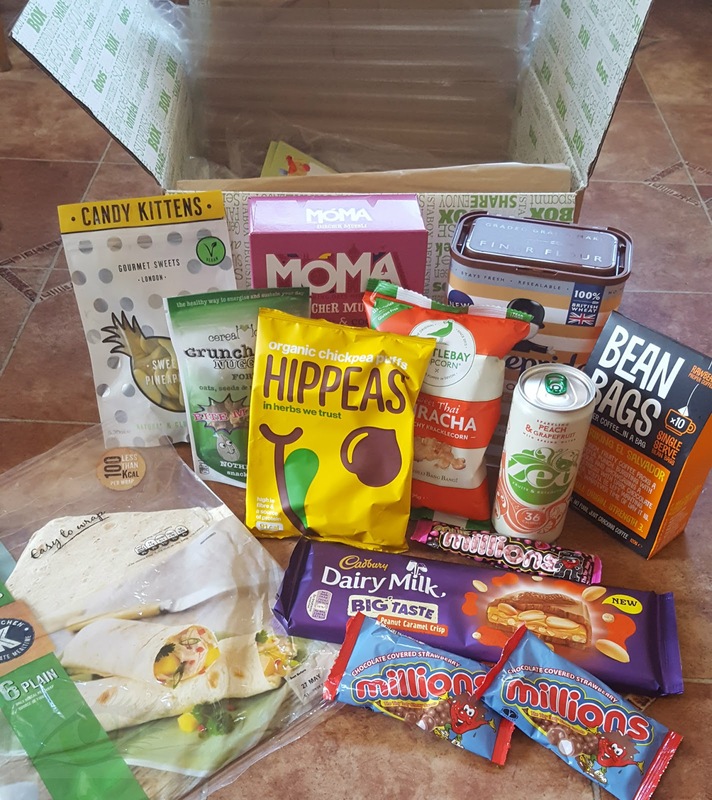 If you register using my link, you get £7 off your first box and I get a free box for every 2 people who register: https://www.degustabox.com/en/register/ref/SHARONL-91D8. 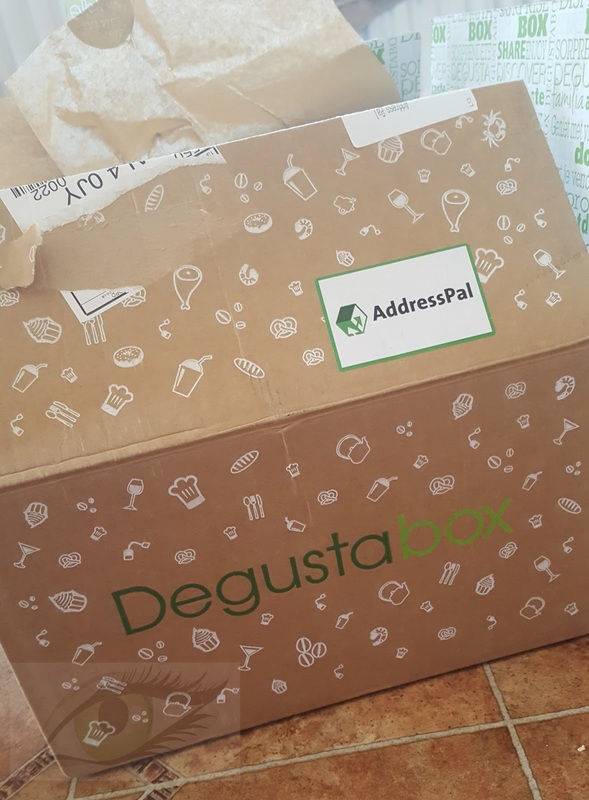 Or, you can go to www.degustabox.com/en to register without linking back to me. It costs £12.99 a month and I used Address Pal to have it delivered here. I'd love if Irish companies started doing this - there seems to be a wealth of subscription boxes available in the UK but I can't help wondering how Brexit will affect parcel redirection services like Address Pal and Parcel Motel. It'd be great to find boxes that contain Irish products and ship within Ireland. Now this interests me!it's something everyone can get excited for and not just me waiting for beauty boxes! think I'll give it a go...your definitely right about the lack of subscription boxes here.